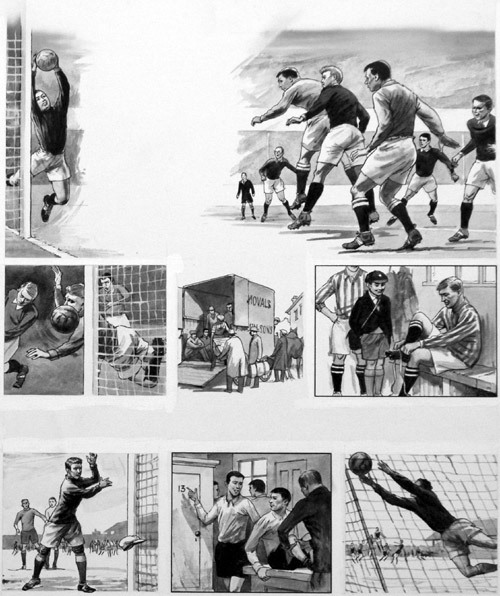 Various scenes showing how football was affected by World War II. 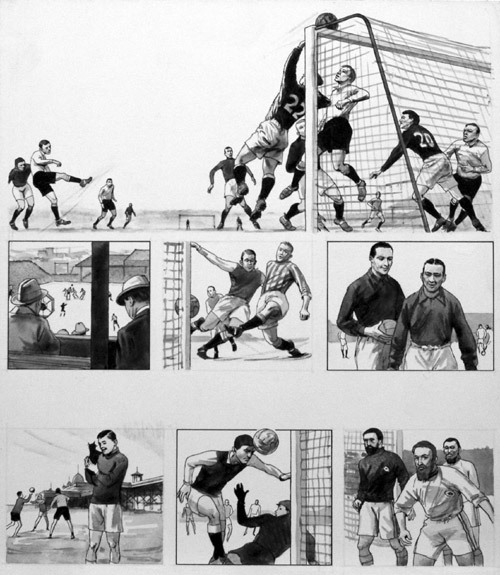 Top left in one international Wales had no substitutes and so when a Welsh player was injured Stanley Mortensen, top right, became a Welsh player for the duration of the match. 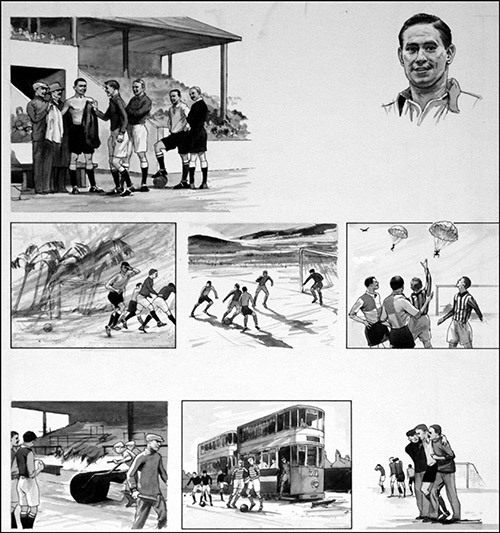 Other scenes show players in North Africa suffering a sandstorm mid match and other servicemen being parachuted into a game. 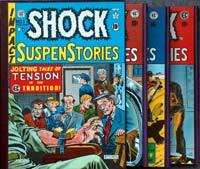 Bottom left depicts the repairs to West Ham's ground when a bomb tore a hole in the corner of the pitch and the trams served as Plymouth's emergency dressing room after their ground was bombed. The Story of Soccer part 29 originally published in Look and Learn #431, 18 April 1970.